You deserve the very best on your prom night. After all, it’s the day you have waited for through all your high school years. 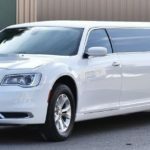 Make it a night to remember with A&A Limousine Service and Party Bus Rental in Seattle. Our limousines are always clean and the chauffeur is in uniform for your special prom night.